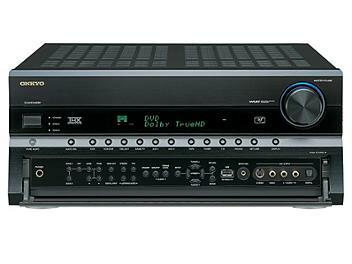 Multi-dimensional, superbly crafted, and loaded with impressive specs, the TX-NR906 A/V home network receiver is a true champion for the age. With seemingly endless abilities-including HQV Reon-VX video processing, dual high-def HDMI outputs, Audyssey room correction technologies, and multi-room audio and video distribution-the TX-NR906 leaves no base uncovered. Built around an isolated power block and pre-processing unit, this network receiver reveals the full potential of virtually any media. This includes any internet- or computer-based sources accessed via its network apparatus (which incorporates a new vTuner interface and Certified for Windows Vista(R) status). The TX-NR906 is the first receiver of its kind to include ISF (Imaging Science Foundation) video calibration, further enhancing its groundbreaking pedigree.